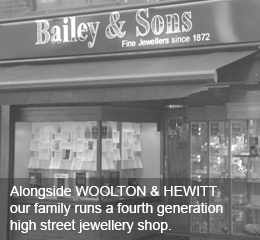 Exclusive wedding rings and designer engagement rings from Woolton & Hewitt, the UK gay and lesbian ring jeweller. We are extremely pleased to be working with some of the finest designers and manufacturers. 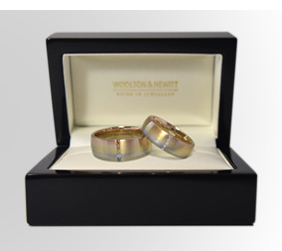 Our range of unusual designer wedding rings and engagement rings are really exciting. 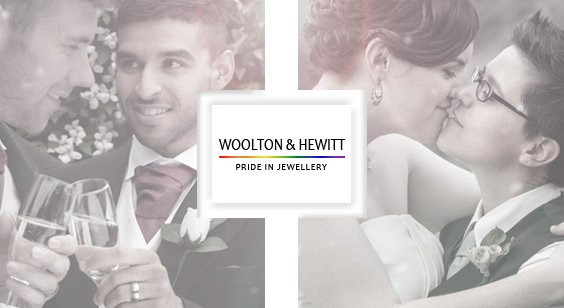 If you are a gay couple looking for a wedding ring, or a lesbian couple looking for engagement rings, or a transgender couple, or a straight couple, our aim is to make sure you start married life with truly fabulous rings. We're sure you will love our collection as much as we do. This stunning designer collection of wedding rings or designer engagement rings includes designs set with a solitaire diamond, two-tone wedding rings, 3 colour rings and engagement rings in combinations of white with yellow gold, and white with pink gold. These superb designer engagement and wedding rings, often set with diamonds, are made in 18ct gold, platinum 950 or palladium 950.